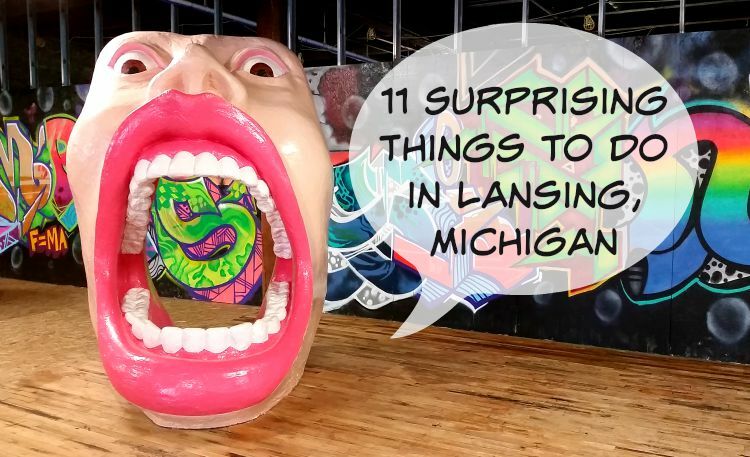 We all know Lansing, Michigan as home to the State Capitol Building and as the stomping grounds of a popular university. However, what might surprise you is this list of other things you can do in the area. Does trying to catch a hot dog flying through the air tickle your fancy? If so, you’re going to want to definitely check this out. Can You Do This in Your Hometown? Over the last few years I have spent a ton of time traveling the state of Michigan because I find their beautiful, salt-free/shark-free lakes and gorgeous natural scenery hard to beat; however, there is more to the state of Michigan than just their Great Lakes! And on a recent tourism trip to the state capitol of Michigan, I was given an opportunity to find out exactly what. Holy smokes, did you just read that right? Yes! And I don’t mean the types of rats that run around a city – I didn’t see any of those here. What I am talking about is the friendly counter rat at the local favorite pet shop, Preuss Pets. Along with having its own little mascot, this pet store, located in Old Town Lansing, offers behind the scenes tours and a shopping area with a river running through it! 2. Take a River Boat Ride. Another fun way to see nature and animals is on a river boat tour! 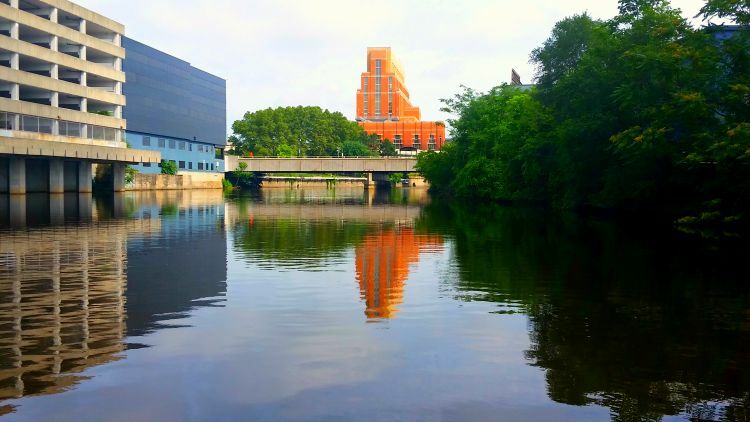 River Town Adventures offer visitors an opportunity to experience Lansing in a whole new way – from the water view. At River Town Adventures you can choose to either kayak, paddle board or canoe down the Grand River. Plus, no matter which route you choose, the view will remain the same – simply breathtaking. There is also a river walk that runs beside the river. This is free to anyone who wants to bike or walk the area. 3. Eat a Zucchini Blossom. This was a new one for me. I actually didn’t know that I could eat a zucchini blossom or even that it was edible. However, after having dinner at the Red Haven restaurant in East Lansing, I was sold on the idea and craving more. 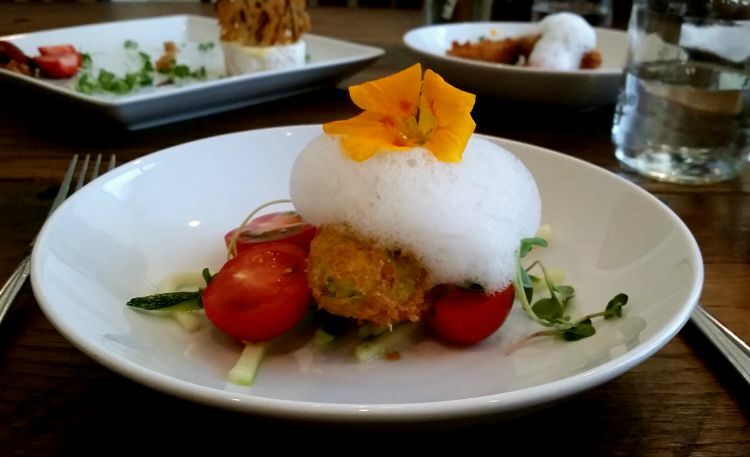 This small farm to table restaurant is all about using local cuisine and creating amazing dishes! While some of the choices on the menu may seem “different”, it is worth stepping out of your comfort zone and trying something new. And don’t forget the dessert! Everything here is made in house fresh. 4. Catch a Hot Dog Flying Through the Air. How good is your hand eye coordination? Hopefully good if you decide to take in a game at the Cooley Law School Stadium to see the Lugnuts play a game of baseball! Halfway through the entertaining and spirited game of ball, two team members from the stadium take to the field and shoot hot dogs from a air gun into the audience. If your lucky enough to catch one, then you’ve got dinner. Otherwise you can head over to the food court and choose from several fun stadium options. Tickets to the game start as low as $8! 5. Star in Your Own Concert. Have you ever wanted to star in your own concert? Well that’s just one of the opportunities you can find in Old Town Lansing. Along the streets of this quaint community are pianos which anyone can walk up to and begin to play. These pianos are kept in good working condition by the store owners and community members nearby. 6. Eat Dill Pickle Popcorn. Dill pickle popcorn? What about salt and pepper or BBQ? Would you ever dream of it or even taste it? Well, if so, a fun little popcorn shop in Old Town Lansing called CRAVINGS has you covered. They offer all of these weird popcorn creations plus a ton more. You can even sample some of them for free in their lobby before buying a bag of your favorites to take home with you and weird out your friends. 7. 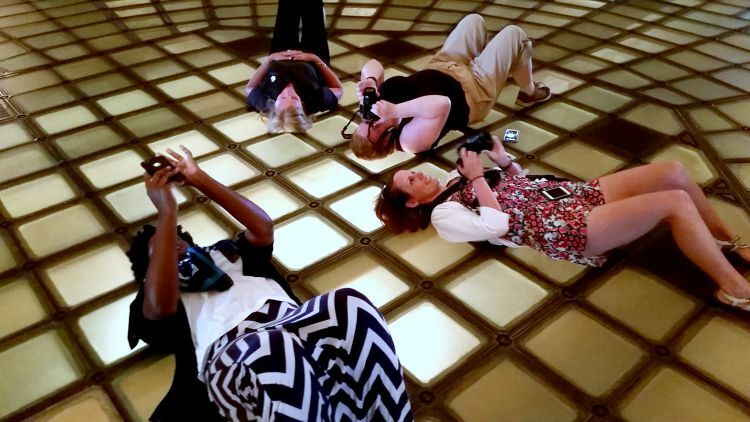 Lie on the Floor of a State Capitol Building. Normally, this type of behavior would be frowned upon. However, at the State Capitol Building of Michigan, lounging is actually encouraged. This is because if you lie down on your back on the glass floor in the center of the building, you can look up into the peak and experience the best view in this house. Plus, tours of the Capitol Building are FREE! Simply check their website for hours. 8. Take a Walk Through a Time Machine. Ok, not an actual time machine, but pretty darn close! The Michigan Historical Museum houses artifacts from decades past that correlate to the area’s history. In one room you can walk into a coal mine and hear the clank of the pick axes. In the next you can enjoy the sweet sounds and sights of Motown. Prices for a day of fun are minimal and children under the age of 5 are FREE! Wait, I told you earlier that the Michigan lakes were shark free, right? 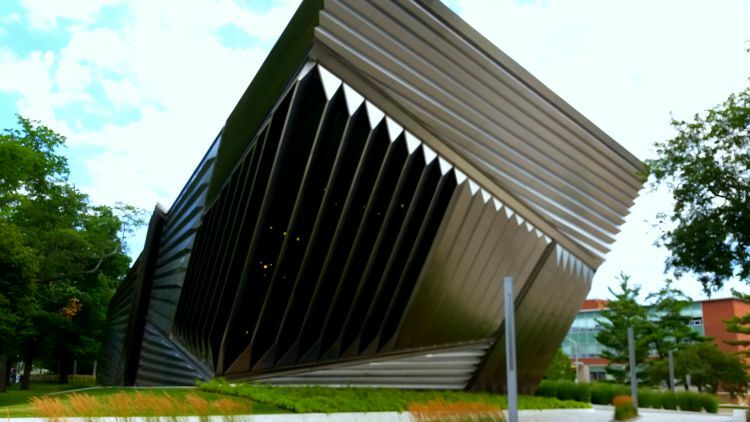 That is still true, but on the campus of MSU you’ll find a fine art museum that appears from the outside to look like a giant shark. Inside the building guests are free to browse beautiful works of art from paintings to sculptures. Admission is FREE. It is definitely not nice to go around touching the people who go to school in East Lansing. However, legend has it that touching the giant Spartan statue at the entrance to Michigan State University can bring good luck. 11. Search for Fairy Tale Creatures. 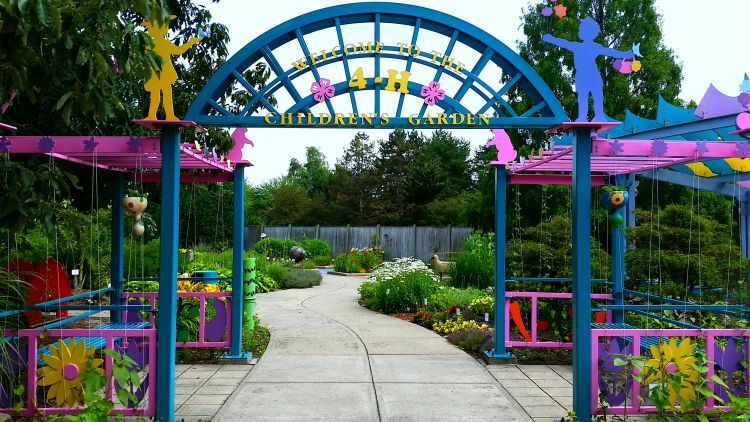 Inside the Michigan 4-H Children’s Garden you’ll find several perfectly manicured gardens and each one is themed to a different fairy tale. These lovely gardens are full of surprises and are open to the public to enjoy. Both parking and entrance is FREE. There are so many fun things to do in this area that it’s fun to make a weekend out of it! So now you know what surprising things there are to do in the Greater Lansing area. Which one are you going to try first? Accommodations and meals were provided by the Greater Lansing Convention & Visitors Bureau. All opinions are my own.